Sake Caipirinha – (below) a sake spin on the classic Brazilian cachaca-based cocktail. Saketini – (our favorite, below) Rihaku Nigori sake, Mizu Honkara Shochu and a dash of aromatic plum bitters. Sake Negroni – (below) features Izumi Judan sake in place of gin. 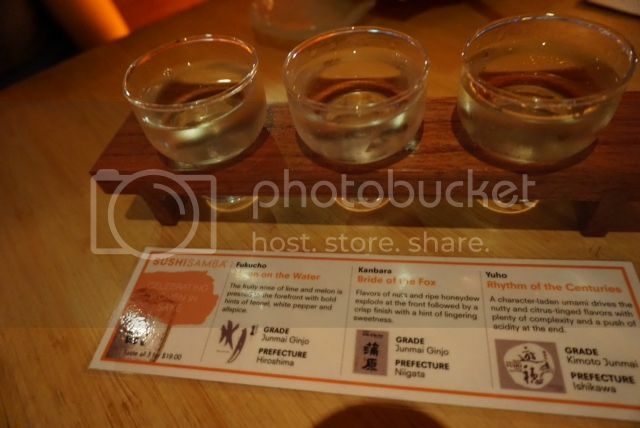 We also tested out their sake flight, which consisted of three kinds of sake ranging from aromatic and light to rich. All of the sake featured in the flight are made by ‘josei-toji’ (female master brewers). While there are over 1,000 sake breweries in Japan, only 20 of them are run by females. Kani Salad – (below) snow crab, sake-dashi gelee, roasted farofa and huckleberry. Presented beautifully, this dish featured dried yuca which added a lovely bit of saltiness, $12. 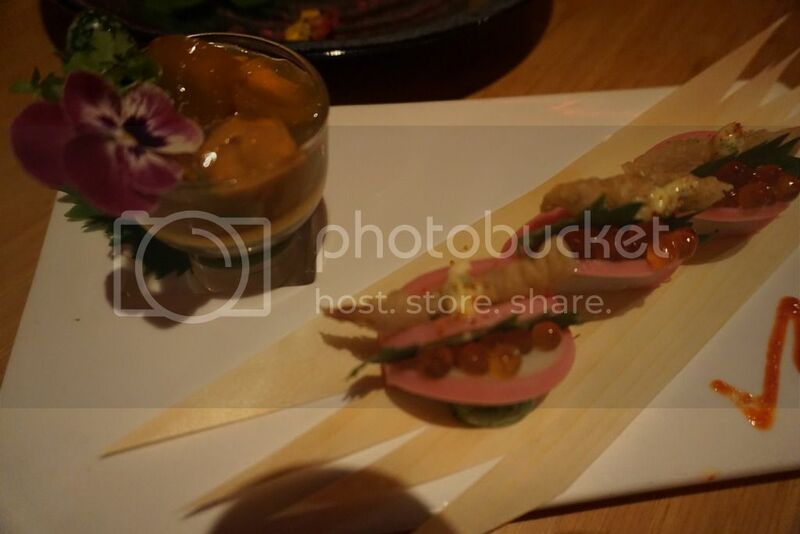 Kamaboko – (below) with ikura, shiso leaf, sardine tempura and white ponzu-sake-uni gelee. A strange match at first glance, but a truly remarkable blend on the palette, $24. 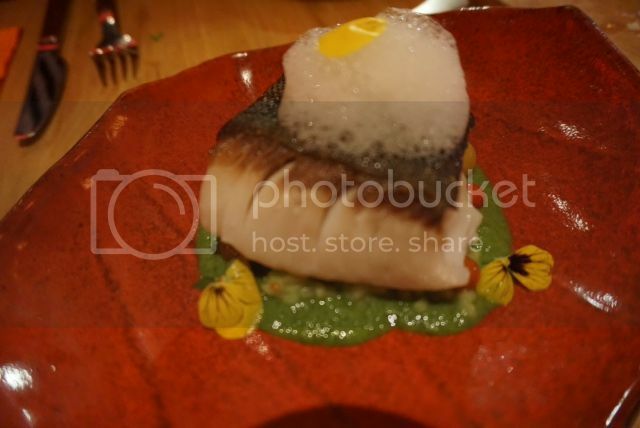 Midori Risotto – (below) seared black cod, vegetable risotto and sake foam. A full sensory experience, $28.